I've always liked Glen Campbell. My dad was a fan of his guitar playing and I must have absorbed some of my father's affection for the entertainer when I was a still a kid. I've had a soft spot for his brand of folksy, easy listening country songs like "Wichita Lineman" and "By the Time I Get to Phoenix" for as long as I can remember. It was a pleasure to discover the other side of Glen Campbell: the guitar virtuoso who was a member of The Wrecking Crew, a rotating group of studio musicians who played (secretly) on hits by everyone from The Monkees to The Beach Boys. In fact, it was his work on Pet Sounds that so impressed the members of The Beach Boys that they asked him to fill in on tour for Brian Wilson following Wilson's famous breakdown. Campbell accepted and toured with the band for four months, playing bass and singing background vocals, but turned down a permanent gig as a full-fledged member of the in favor of pursuing his own star. It was the right call to make; by the '70s, Glen Campbell was probably the biggest country music star in the world. He had tons of hit records, prime time television shows, and an acting career. Lately there's even been renewed interest in his music thanks to his 1977 hit "Southern Nights" finding a spot in Guardians of the Galaxy Vol. 2. Unfortunately, the other main reason that there's been renewed interest in Campbell is because the singer was diagnosed with Alzheimer's Disease in 2011. With time being the one commodity that was running out, he launched a full tour, which is chronicled in the documentary I'll Be Me and showcases the once-mighty guitar player as he struggles to remember lyrics and melodies that he's played for decades. Now we have Adios, the very final studio album from Glen Campbell, recorded in the months following that tour. Thanks to extensive liner notes from both Campbell's wife and his guitar player, we know that these tracks were recorded five years ago, when Glen was still able to sing and perform. His wife Kim explains that the recording sessions were difficult, and often times the lyrics of songs had to be held up in large print because he couldn't remember them. Some songs were recorded line by line and then edited together. The legendary guitar skills that made him one of the most valuable session musicians of the sixties had disappeared and he no longer remembered how to play. Thankfully, his long-time band member and guitarist Carl Jackson, who also produced this album, plays all the parts using the licks that Glen played when he used to perform these songs live. Given the way this album was created, it seems like it would have a very choppy, rough sound, but it doesn't; on the contrary, it actually sounds amazing. Glen's voice as recorded here is still strong and in key, and the production itself is masterful. While the recording process sounds like a very challenging experience, the final product is beautiful. The songs themselves are tunes that Campbell loved to play over the years but never committed to tape in a studio, which means that pretty much all of these songs are already classics. This is country music of the sixties and seventies tradition, completely foreign to what passes for country music on the radio today. That gives this project sort of a timeless appeal for those who are into twangy guitars and weepy pedal steel. Joining Glen are Willie Nelson on Nelson's hit "Funny How Time Slips Away" and Vince Gill on "Am I All Alone (Or Is It Only Me)," while the rest of the songs are covers of folk or country musicians like Roger Miller, Bob Dylan, Jerry Reed, and country giant Jimmy Webb, who is represented by a whopping four tracks. The songs themselves form a theme to the album, which--if not obvious from the title--is one of sad farewell. Track after track deals with lost love, the inevitable passing of time, and the regret that things couldn't have worked out differently. When divorced from the circumstances around it, the album is incredibly easy to listen to, but it gets harder when you put it into the context of the singer's failing health and the mission behind the project. Since Campbell didn't seem to be able to contribute to the song selection, one can't help but wonder how much of this project is his family and friends (his children sing backup) saying goodbye to Glen as much as it's his own farewell to a long career and the fans who made it possible. This record is a powerful thing and it raises a topic that we aren't comfortable discussing. In our culture, we don't face things like Alzheimer's and dementia openly, often keeping our struggles secret from the public eye. Yet, every now and then, some celebrity makes their impending demise a part of their art. David Bowie did it, and so did Warren Zevon. Well, here's another one that deals directly with saying goodbye. Every one of us will eventually be touched by dementia in our lives; if it isn't us ourselves, it will be someone that we love. To borrow a powerful line from the Star Trek franchise: "How we deal with death is at least as important as how we deal with life." And yet we don't like to acknowledge our own decline until we're staring it in the face. 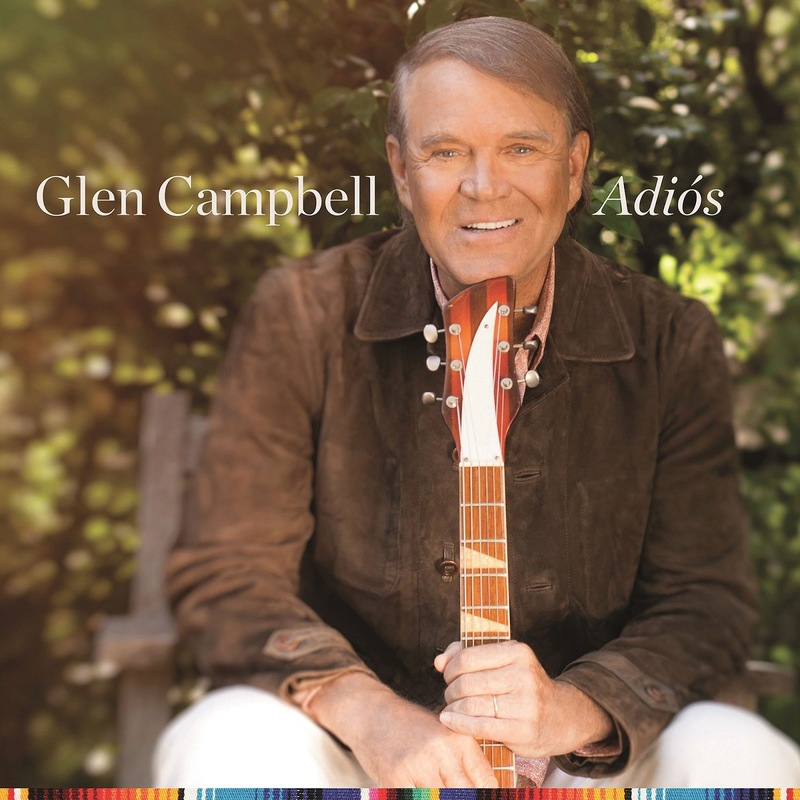 This is Glen Campbell and those closest to him dealing with death in the most public way possible. It's tragic, but it's also brave and beautiful. As of this writing, Glen Campbell is still alive, though he is in the late stages of the disease. He has not only lost the ability to sing, but also to speak or even recognize speech. His daughter says that he no longer recognizes music. I can think of nothing more tragic for a man who literally thought and spoke through his music to have lost his ability to at least enjoy a beautiful melody. I gather that this album has been completed--more or less--for quite some time and this release was held back, possibly so that it really would feel like a goodbye when the time was right. It's a final farewell both from the man who made the music as well as from those who love him the most. The music on the album won't be for everyone; honestly, a few of the songs aren't even for me. Nevertheless, this is a monumental album because of the grace and fragility it possesses. Adios, cowboy. Even in goodbye, you've left your mark.